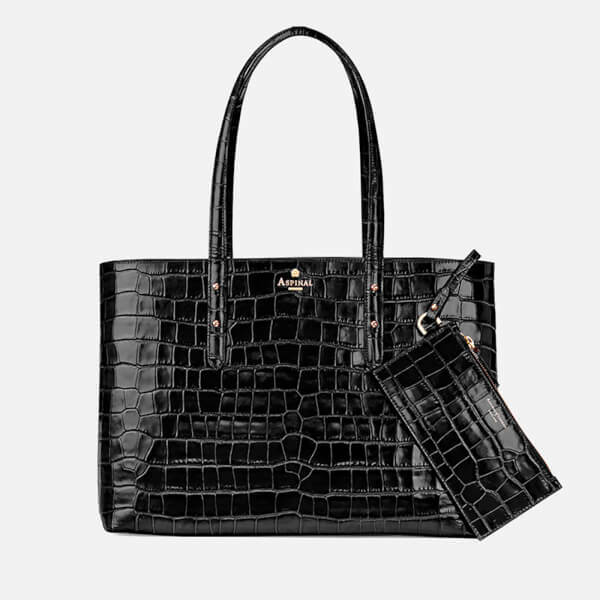 Black tote from artisans in luxury design, Aspinal of London. 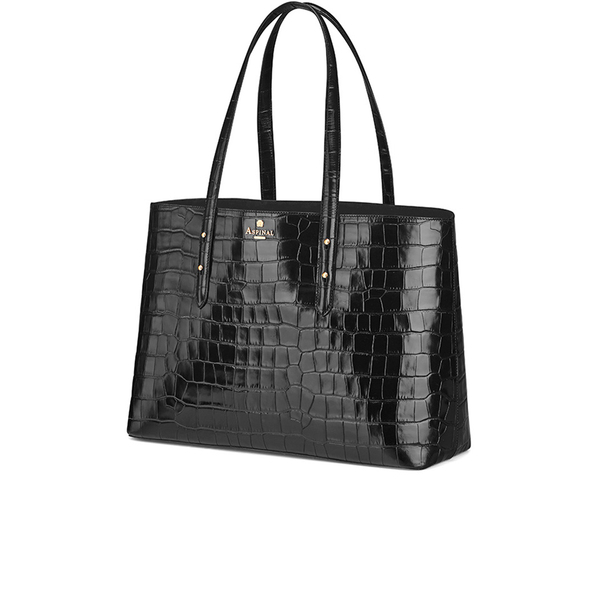 Handmade from the finest croc print Italian calf leather, the semi-structured tote comprises an open top design, which opens to reveal a spacious, suede lined interior offering a detachable pouch, perfectly fusing form and function. The pouch features a zip top fasten and signature Aspinal of London branding, ideal for coins, cards or notes. 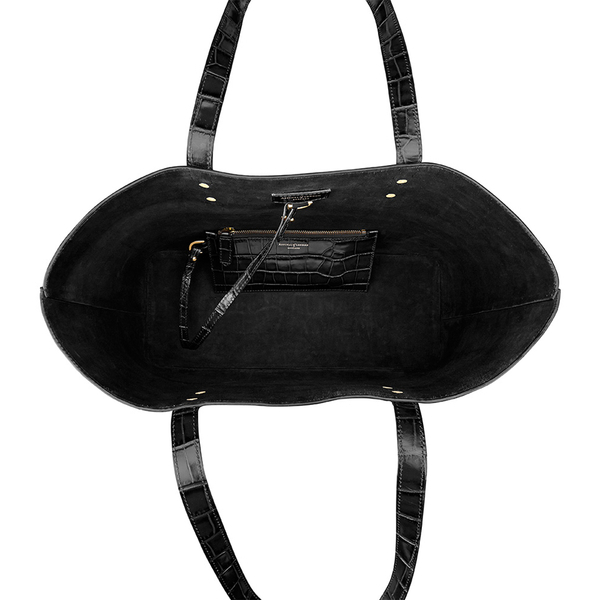 Transported with dual, flat leather grab handles for shoulder wear. The tote is complete with gold-tone foil embossed branding. 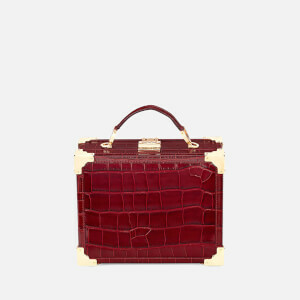 Main: Italian Calf Leather. Lining: Suede. Dimensions: H: 28cm x W: 40.5cm x D: 15cm. Handle Drop: 24cm.